I tend to gravitate towards anything that is at least a bit Scandinavian related. I have a special relationship with many Scandinavian countries. Norway is my mum's birth place, Sweden became my grandparents home for five years, and our very dear friends are Finnish. It comes as no surprise, then, that I was very excited when I got my hands on a Finnish cookbook a couple of weeks ago. 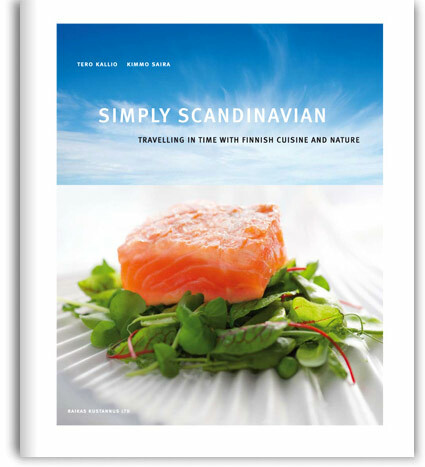 A cookbook review is something completely new for me and for my blog, but I could not resist to introduce you Simply Scandinavian, Travelling in Time With Finnish Cuisine and Nature. It has everything a good cookbook should have - delicious recipes and gorgeous food photos, plus a bonus - breathtaking photos of Finnish nature in different seasons. Four main parts of the book corresponding to four seasons will guide you through spring, summer, autumn and winter in Finland. Each chapter introduces traditional appetiser, main course and dessert recipes using seasonal ingredients. The importance of using local and seasonal ingredients is definitely one of many things I love about Finland. As I was leafing through the book, lovely memories from our visits to Finland were coming back, and I was contemplating what recipe I should try first. I noticed some of the ingredients like black bread from Åland, bark flour, reindeer or moose meat may be difficult to find here, however I marked many recipes I'm definitely going to try. 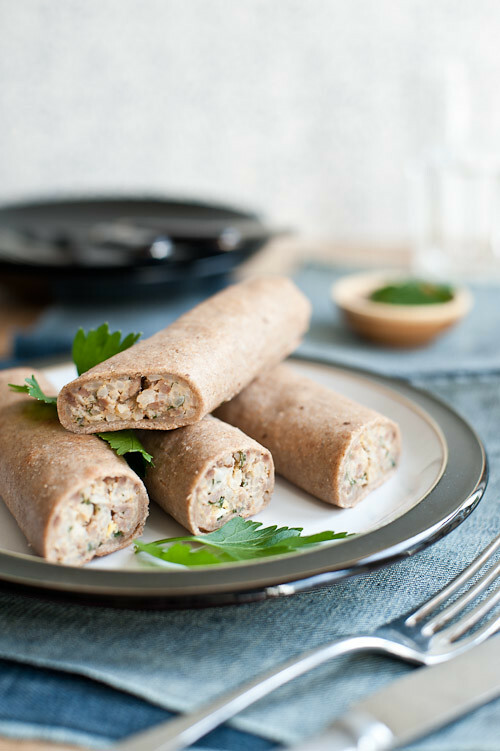 I finally made my choice and picked rye canneloni recipe, because it resembles my favourite Karelian pies. I followed the recipe instructions exactly and it was easy to make recipe for me however, beginners might find the instructions incomplete as it doesn't specify some details like how long should you cook the eggs or fry the meat. Also the list of ingredients doesn't contain milk and butter for brushing the canneloni after baking. As the recipe suggested, I replaced the bark flour with rye flour, and I didn't serve the canneloni with consomme but enjoyed them on their own instead, and the result was great. 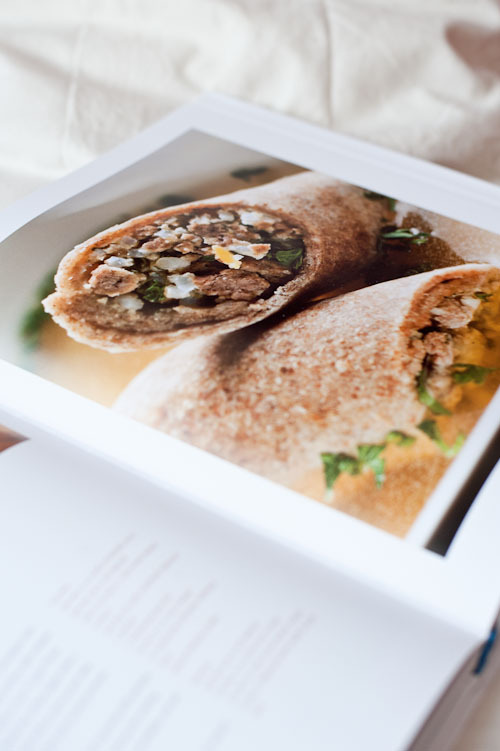 As a passionate food photographer I should point out that some of the food pictures in the book would benefit from a wider setting as close ups with shallow depth of field are not always the best way to show the food from its best side. However, my overall impression is that this visually beautiful cookbook is a perfect guide to Finnish food and nature. Pour the water into a saucepan and boil the rice for approximately 20 minutes. Drain the water from the rice. Chop the onion and fry it lightly in butter in a frying pan for approximately 5 minutes. Fry the steak mince. Hard-boil two eggs. Chop the eggs and mix all ingredients. Add one raw egg and the spices. Mix well. Taste for flavour. Stir the different kinds of flour and salt into the lukewarm water. Knead the dough for a few minutes. Leave to rest for a while. 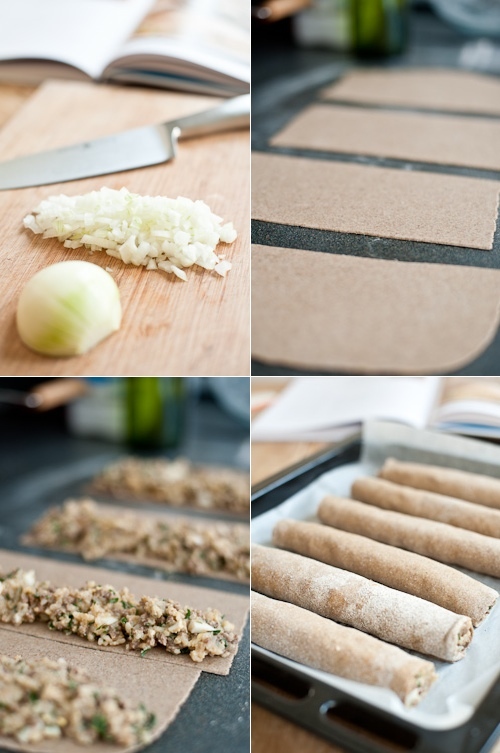 Roll out the dough into a 2-3 mm (0.1 inch) thick layer and cut into about 12 x 20 cm (5 x 8 inch) pieces. Place two heaped tablespoonfuls of filling along the longer side of the piece of dough. Wet the edges of the dough and roll the cannelloni into a cylinder shape. Brush the surface with melted butter. Bake in the oven in 250C (480F) for 10-15 minutes. Brush the surface again with a mixture of butter and milk as soon as you take the cannelloni out of the oven to prevent them from going dry. Serve with consomme seasoned with parsley. 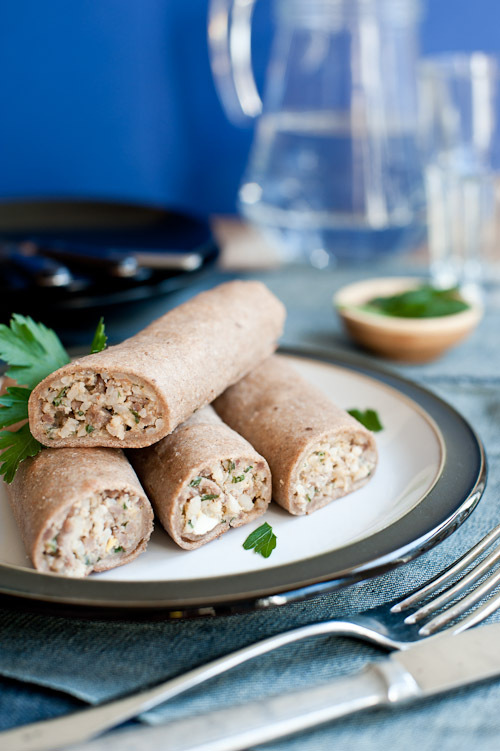 Tip: bark flour is not necessary for making these delicious cannelloni. If not available, use rye flour instead.